Pockets of life-sized goodness exist everywhere. Even in the transport chaos that defines Vietnam. Traffic crashes kill at least 9000 people a year. Indeed, it is estimated that official data about traffic deaths underestimates the number of traffic deaths by as much as 30%. 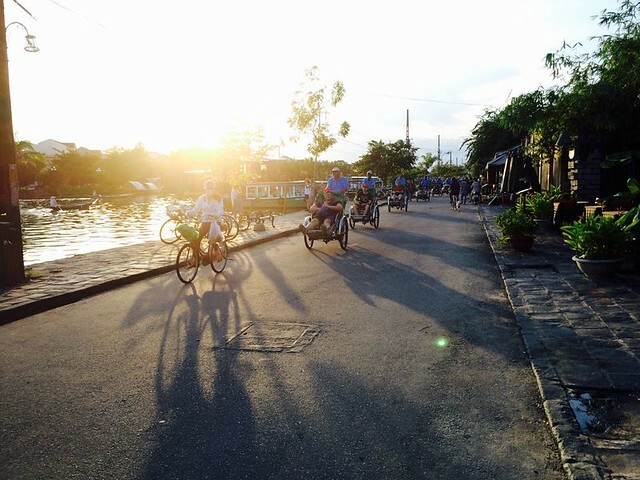 On a recent visit to Vietnam, our friend and colleague Liv Jorun Andenes from Oslo's Sykkelprosjektet visited a small city that bucks the fatal trend of letting motor vehicles - be it cars/trucks or motorbikes - dominate. 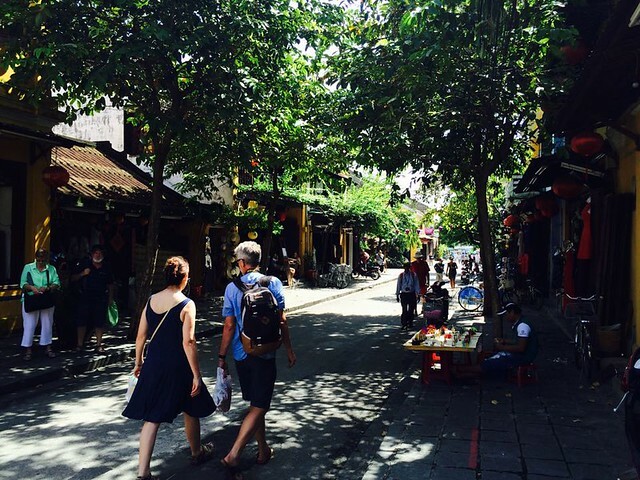 The city of Hoi An. The sign, above, gives you a pretty clear indication about what it's all about. 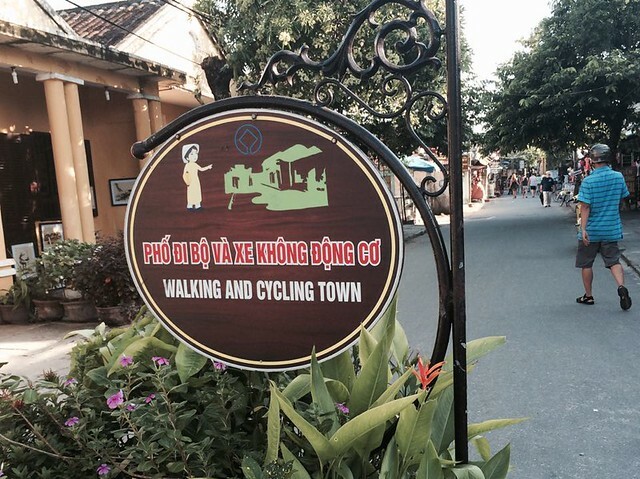 The name Hoi An translates - appropriately - as "peaceful meeting place". Rumour has it that "Australia" is actually an old Dutch word for "stupid traffic engineers", but I digress. 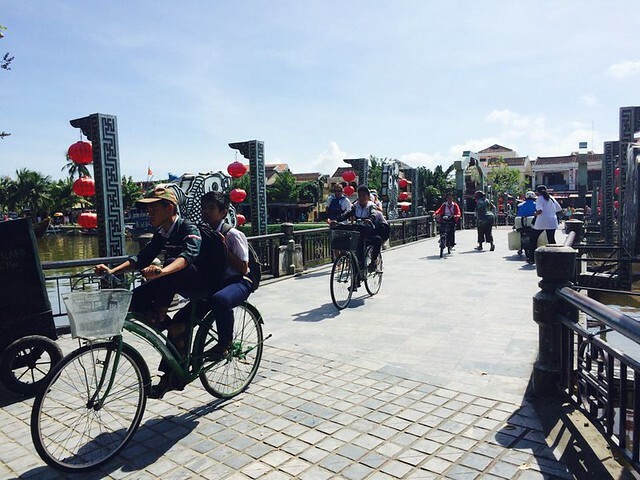 Bicycles abound in Hoi An - as they did in Vietnam for many decades before the scourge of cars and scooters took over. Here, however, they remain dominant, thanks to a simple vision for a nicer, life-sized city from the municipality. I don't need to bang on about the history of this once prominent port city when one click will lead you to a crowdsourced article on Wikipedia about Hoi An. 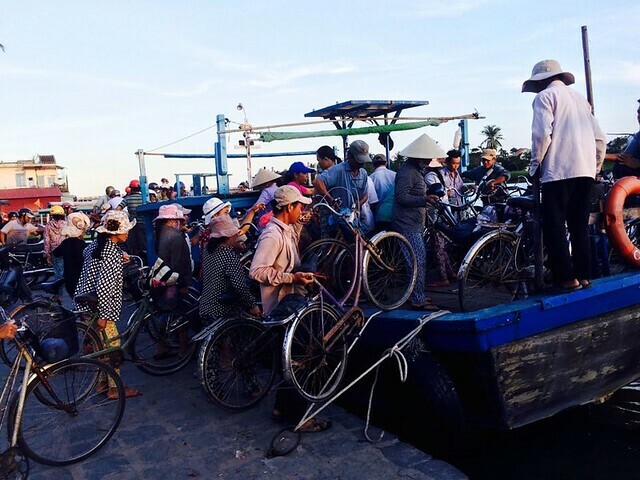 It's a city of canals, though, with intense bicycle traffic across the water on ferries. The streets are traffic calmed and, with the absence of Captain Spandex types, the space is shared between pedestrians and slow moving cyclists. 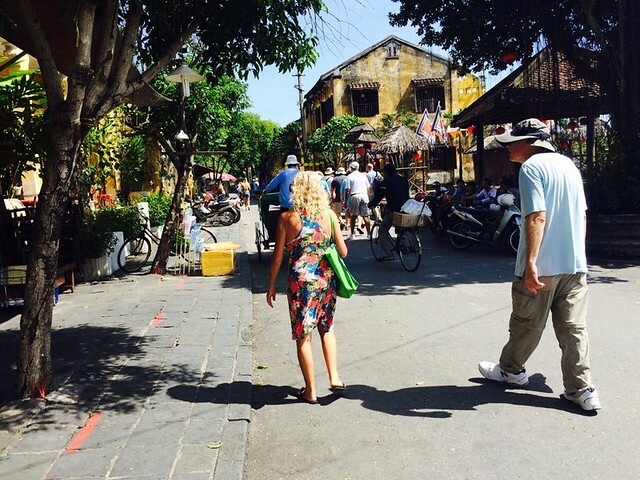 Basically, if you go to Vietnam, make sure to pop by Hoi An to see what calm is possible in a chaotic world.